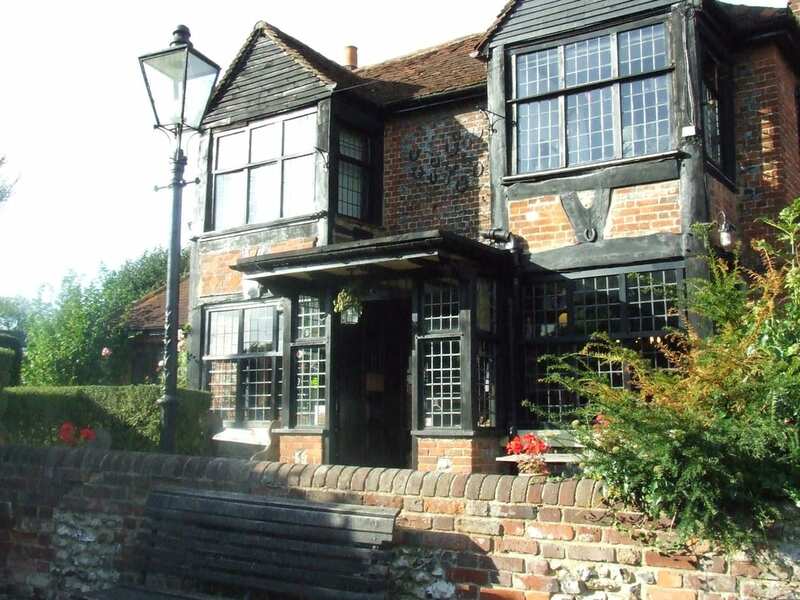 Today this brick and timber public house located in Forty Green is reputed to be the oldest free house in England with a rich history spanning over 800 years. 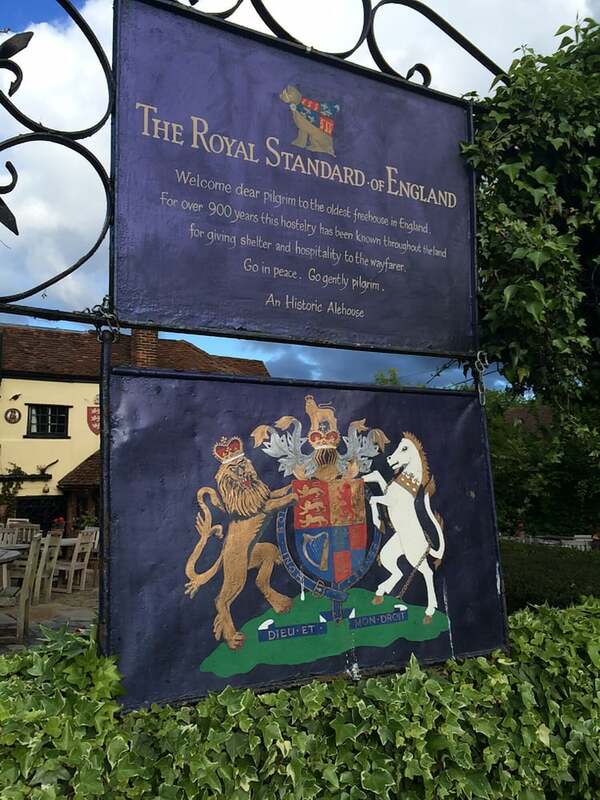 References are made to royalty, ghosts, highwaymen and even illegal strong beer, which once legalised, attracted drinkers to the Royal Standard of England for another hundred years. The first mention of the inn, originally known as ’Se Scip’ (The Ship), was made in 1213, although it is likely that an alehouse existed on the site prior to this date. 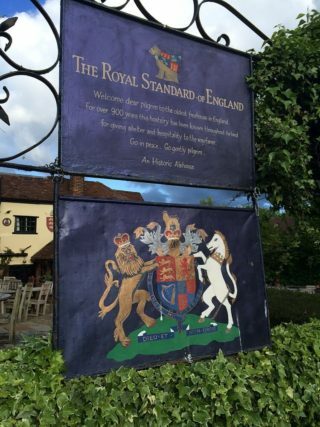 However, it was not until after Charles II’s restoration to the throne in 1663 that the inn changed its name to the Royal Standard of England, the only inn in the country with the honour of this full title. It is said that the new king bestowed the honour in recognition of the loyalty and support given to the Royalists and to his executed father by the landlord. It may also have been the case that Charles II felt obliged to do so as a reward for being able to meet his mistresses in rooms above the inn! The location of the inn today is no longer seen to be on a major thoroughfare, yet in the early days it was an important trade route for transporting bricks and tiles from Penn and Tylers Green down to the River Thames at Hedsor Wharf and from there by barge to London. Cattle were also moved along the drovers’ roads to markets in Beaconsfield and High Wycombe, with the alehouse providing wells for watering the cattle and sustenance for the men. In addition hospitality was given to the medieval courts whilst on their deer hunts in Knotty Green and Penn. During the Civil War the inn was used as a mustering place for Lord Westworth’s Royalists before the Battle of Wycombe Rye in 1642. Legend has it that Prince Charles (later King Charles II) hid in the Priest Hole in the roof of the inn. In 1643 Roundhead soldiers executed a dozen Irish Confederate Cavaliers and raised their heads on pikes outside the inn, including a 12 year old drummer boy whose drum can occasionally be heard beating in the car park! In later years successive landlords acted as accomplices for highwaymen, indicating to the robbers which travellers would be worthwhile ambushing. However, by the mid 18th century the inn’s trade had declined, largely because the brick and tile operations had moved elsewhere, and it reverted to an unlicensed alehouse on Lord Howe’s estate. Fortunes were revived with the building of the railway at the start of the 20th century, with the opportunity to illegally supply the railwaymen with strong country ale known as ‘Owd Roger’. The beer was made from an old recipe brewed in Victorian times and this was eventually sold to Marston’s Brewery in Burton. Until recently the Royal Standard remained renowned for selling this beer with a strength of over 7%. Since the 1960’s the Royal Standard of England has undergone major changes. The original bar was the Candle Room accessed by a side door adjacent to the current entrance. The remaining parts of the building to either side of the bar were used as store rooms, but over the last 50 years these have been progressively opened up to extend the bar and dining facilities. Until fairly recently the original candle bar had no electricity, but following a fire the candles have been replaced with light bulbs. However, much of the original features of this room remain, and apparently a shadowy male figure is still occasionally seen striding across the bar and disappearing through the wall next to the old fireplace, believed to have come from Gregories, Edmund Burke’s home. Perhaps this is the ghost of one of the dead executed cavaliers, or an unknown traveller crushed outside the inn by a speeding coach! Today the public house has become popular with both locals and visitors from around the world and perhaps not surprisingly, is frequently used for filming, recent credits including ‘The Theory of Everything’ , ‘Midsummer Murders’ and ‘Endeavour’.